Brands and communicators are feeling their way around Pinterest, the "virtual pin board" social network that's growing by leaps and bounds: Just since the start of 2012, total views of Pinterest jumped from 10 million to 17 million. But Pinterest doesn't let you message people or forward posts to particular groups, and the visual has to drive your thinking. Repost your best content here: Pinterest, new as it is, drives more traffic to blogs and websites than Google+, LinkedIn and YouTube--combined. I'm already seeing this on my blogs, where Pinterest is now the number two referrer after Google searches--in less than a month. That means you really do need to include photos or videos with your blog posts, since it's the visual that pulls in the Pinterest user. To make sure it links to your post, install the Pinterest "pin it" button to your bookmarks bar and use it to repost your blog item. Pinterest wants you to write a few words about any post to put it in context, so make sure you make this short plug tantalizing. Remember that Pinterest is not a text-heavy blog: Don't, on the other hand, post a photo and write a lot of text about it on Pinterest if you could have pointed the user to your blog or website. A little text goes a long way here. Images with some text, however, work well here. Don't put all your blog posts on the same board: Subdividing your blog may seem unnatural, but it makes more sense on Pinterest, where the specific seems to draw interest. So if you post on more than one topic within your subject area, it pays to make a board for each one. You may want to divide your subject by month, color (thinking visually), theme, issue, activity, age group....you get the idea. This is a great opportunity to find those interested in your niche topics. Show me where you fit into my life: It's a lifestyle network, so start thinking about how your brand, cause or business affects people's lives when you're coming up with a content strategy. Can you show me a role model, give me some inspiration, share some tips, give me a new perspective on something I've seen a million times, save me time or money, shorten my search for the perfect ______ or just give me more things from which to choose? Then you'll do well here. Don't just post about work issues. Pinterest doesn't ban brands outright, but asks that your posts not be wholly self-promotional. As with other social networks, those of you using them for work purposes need to add some personal information, in my view, lest we see you in only one dimension. Check my tips for how to balance personal and professional on Twitter to get started. Share what you're reading, where you're traveling, what you're eating--all easily translated to the visual. Comment on others' posts where you share an interest. You know, socialize. Help users populate their wish lists. Brands know (or should know) that readers keep lists of things they might want to buy or do. Pinterest really takes that to another level by serving as an aspirational network. It lets us share our bucket lists, good intentions, inspirations, shopping lists, and lists of ideas for our next event, birthday, trip, cocktail party or volunteer effort. So you get a couple of advantages: You can use Pinterest as intelligence-gathering on your users' wish lists, and then you can start building boards with items that will make it onto users' wish lists, with all the great benefits that come when they start sharing your items. Make boards reserved for repinning others' posts related to your work. 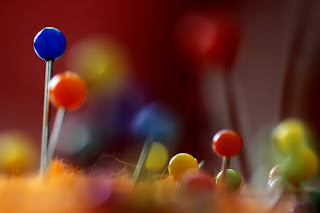 Repinning others' posts is an easy way to get new followers and build relationships. So when your university's alumni post photos of their favorite spots on campus or your hotel's guests share photos of the spa and pool, repin them on a special board for that purpose. When you repin, you can retain their note, and add more text--so add a special tip or fun fact that your pinner might not know. They'll get a notification when you repin, so this is a basic way to connect with fans. Use your other channels to make sure users know where to find you on Pinterest: Whether they're early adopters or just catching on, everyone's scrambling to find people on this network, which doesn't yet suggest people to follow. So use your blog posts and tweets and Facebook page to make sure your followers know where to find you. While you're at it, ask your home crowd how they use the site and what they'd like to see from you there. Stay smart with search and scouting: Use Pinterest's search box to search for boards, pins or people on the site, and scout around for others posting in your specialty area. Some users have been playing with Pinterest for two years now, and it pays to pay attention to their likes and dislikes. At a minimum, use your scouting to find out what they are already posting, and figure out how to build on it. Just like any other social network (and maybe more so), you won't engage users if you are not interested in what interests them--nor if you're just pushing out your own stuff. While you're using Pinterest, stay smart about copyright. Here's how Pinterest avoids violating copyright, but that puts the onus on you to properly credit your sources. And check your settings: You'll want to turn off the options to share with Facebook and Twitter every move you're making on Pinterest, trust me. Want more ideas? Read my list of 17 things you can pin on Pinterest that are not pillows or dresses to get your creative ideas going--it's already one of the most-read-ever posts on this blog.